Sometimes the best wrestling triumphs take place off the mat, because that’s when the character of young men like Jake Beistel and John Cook become evident. 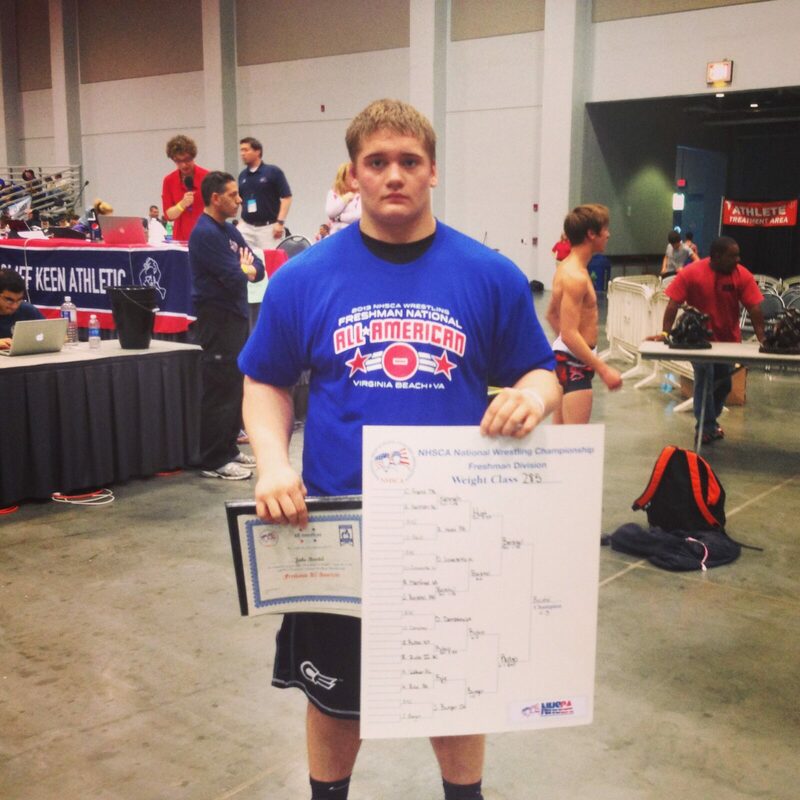 Jake Beistel won the recent heavyweight championship of the NHSCA Freshman Nationals and raised $6,000 to help autistic children. Jake, a freshman at Southmoreland High School in Alverton, Pa., decided last fall to raise money for his school district’s autistic support program. His brother Caden, 8, had been selected for his elementary school’s “Buddy” program to help autistic kids with their social skills. 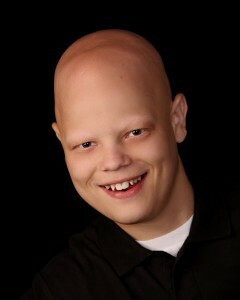 With a goal of $1,000, Jake sought pledges. Some people pledged per win, some per pin and some gave an outright donation. Thirty-four wins later, the final tally: about $5,700. Jake not only completed a winning season — becoming the only freshman heavyweight to qualify for the AA state championship — but the support from his town was outstanding, he said. A group of junior high teachers gave $300, for example. Area middle schools representative Larry Newcomer pledged $50 a win. He especially credits Southmoreland’s rookie wrestling coach, Ryan Shaw, and assistant Steve Santia, also among the donors. But this was Jake’s second fundraising effort. Last year after a car accident took the life of a wrestler from a nearby community, Zach Colucci. Jake heard about a mentally challenged youngster who cried because Zach wouldn’t be there anymore to befriend him. “I thought that was sad, so I wanted to give back in memory of him,” Jake said. He donated the $500 he raised to Zach’s high school’s learning support program. The son of Kurt and Stacey Beistel, Jake began wrestling at age 10 and placed fifth and third in the AAU’s Junior Olympics competition. He’s also been a freestyle and Greco-Roman state champ. At 6-feet tall and 250 pounds, this center and middle linebacker also participates in the football team’s community service projects. Although Jake hopes to undertake another pledge campaign next season, those who pledged this year should count themselves lucky. His 34-win tally didn’t include the last four of the season, when he claimed the National High School Coaches Association freshman heavyweight title, April 5, in Virginia Beach, Va.
John Cook is just 20 years old, but he’s already the founder and president of Guts Gear Inc. Foundation. When you’re born with infantile polycystic kidney disease, your life really doesn’t follow a normal pattern. The life-long Des Moines (Ia.) resident received his first kidney transplant at just 14 months old. His father was the donor. By the time John turned 8, however, he needed another transplant. That one came from a deceased organ donor. That’s why his third kidney transplant took place last July, again from an organ donor. Yet, starting in eighth grade, John became a wrestler. Despite his disease and other health problems, he battled his way to varsity competition at 103 and 112 pounds at Des Moines Roosevelt High School. Between the ages of 6 and 8, John underwent dialysis at a Des Moines facility, surrounded only by adults. “People were all old and some had lost legs to diabetes,” he recalled. A year ago, he set up his foundation. His high school coach from last season, Jay Groth, serves on the board. The foundation provides iPads, movies, hand-held games and the like to kids undergoing dialysis. He hopes to eventually reach out to all 1,500 children’s dialysis centers in the country, seeking kids’ recommendations and meeting those requests. A March 28 Guts Gear fundraiser attended by more than 400 supporters is helping make that possible. The sale of tickets and Guts Gear shirts and golf balls helped raise over $28,000. For more information or to order items, go to gutsgearfoundation.org. Although he’s no longer competing, John carries his wrestling background with him. To read other stories from the most recent issue of WIN Magazine, you can subscribe by (clicking here) or calling the toll free to start a 12-issue annual subscription for $29.95 for 12 print editions of WIN, or $14.95 for the digital version.